I have been doing some tinkering and final revisions and editing of my upcoming book Sympathy for the Devil: A Journalist’s memoir from Inside Pol Pot’s Khmer Rouge and have been distracted as I sort out old papers, correspondence, raw notes, and files, many which have jogged both pleasant and unpleasant memories. They include letters ranging from my suspension for being accused of being a CIA operative, to letters to guerrilla commanders thanking them for assisting me after I was wounded in battle, to secret correspondence from and to the Khmer Rouge in the jungles, to letters nominating me for a Pulitzer Prize. Below are a few selections of such correspondence. But first a pitch for funding to bring to fruition my campaign to publish my book and related accompanying data and documents and videos of interviews with the Khmer Rouge leaders and and observations of the Khmer Rouge and modern Cambodian political history. Please excuse, in advance, the insufferable self-promotion which I must engage in, seeking funding, over the coming weeks. Believe me, it mortifies me, but the new realities of journalism are that individual investigative journalists must seek independent financing and engage in self-marketing as the institutional support of large media companies has evaporated. I, and my colleagues who share my belief in in-depth, long term investigative journalism, almost universally no longer have institutional backing or other means of income to pay for the considerable costs of our genre of investigative journalism. It is, indeed, expensive and time consuming and requires considerable resources. It is also, in my opinion, both endangered and vital. Two weeks ago, I posted a video clip as a preview to the impending launch of a Kickstarter campaign to help fund the publication of my book “Sympathy for the Devil: A Journalists Memoir from Inside Pol Pot’s Khmer Rouge” and associated other historical material. That Kickstarter campaign will officially be launched by the end of January, 2014. It has encountered several, routine delays, including being denied permission to use the soundtrack of the Rolling Stones song of the same title–Sympathy for the Devil–which was the soundtrack accompanying the video of the Kickstarter campaign. All fair enough, save it requires the remixing and editing of the video. That, and a few other normal bureaucratic glitches, has meant the launching of the Kickstarter project will take a few extra days, commencing by the end of January. But Kickstarter is only one way to support this project, and the project, which is requiring most of my full-time effort now, will be at full speed once sufficient funding is raised to underwrite the substantial costs. There are several ways to participate in supporting this project. All support, no matter how small or large, is both needed and welcome with gratitude. The costs for a high quality production of this project are substantial. The details of what it will cost, and the specific funding targeting each aspect of the larger project, to bring these projects to fruition will be laid out in the Kickstarter campaign. Any thoughts, criticisms, or comments are welcome here, or by email at thayernate0007@gmail.com, or through my blog site at natethayer.wordpress.com. I will officially be launching a Kickstarter campaign within 10 days to raise the necessary funds for the publication of my now completed manuscript Sympathy for the Devil: A Journalist’s Memoir from Inside Pol Pot’s Khmer Rouge, as well compiling and making available for the historical public record hundreds of hours of related, un-redacted archive videos, interviews, transcripts of the former, and extensive internal Khmer Rouge secret documents I have compiled over decades of chronicling Pol Pot, his Khmer Rouge, and contemporary Cambodian Political history. Along with the hardcover book, with extensive photographs and documents–which is now more than 800 pages and will require a lengthy professional edit to pare it down to approximately 400 page, there will be an E book. Another more academically oriented book may also be a result of the efforts, with the objective of the main book being a serious history of modern Cambodian politics that is told in an accessible first person memoir to maximize its accessibility to a popular general audience. It is comprised entirely of first person original research from my years of reporting from and on Cambodia, with a special focus on Pol Pot and his Khmer Rouge. The project will also include hours of raw video and audio interviews of Pol Pot and the entire senior Khmer Rouge leadership who remained alive after they retreated to the jungles in 1979 after their three years in power, including Nuon Chea, Ta Mok, Khieu Samphan, Chief executioner Duch, and others. Transcripts of these audio and video interviews will also be made available in their entirety. Summarized video presentations and written synopsis’ and analysis articles written by me will be included, but the raw data will also be available so anyone interested can form their own conclusions, if they choose, based on the raw data. Accomplishing this project will be expensive, and its realization and success depends on your support. Direct donations of financial support, however small or large, to enable this history to be told and made available, is crucial. It simply cannot succeed without considerable support, through direct funding. I have no institutional support from any organization and its success will depend on individuals. Also crucial to the success of this effort is sharing over social media and through other means, including to organizations or individuals whose interest, organizational objective, or whose philanthropic abilities allow support for this project. It will be a partnership between those who find the objective worthy of support and myself and the team of skilled professionals necessary to bring the project to fruition. The sharing of this project, and how to support it, and information of the objectives and final product with your friends and colleagues and others who might be interested or able to contribute support if they deem the project worthy, is vital to its eventual success. In order for this to be accomplished, the project needs to secure the expertise of several professionals with specific skills, who, rightfully, need to be paid for their work. They include book manuscript editors, graphic artists, IT specialists, computer programmers, publishers, layout specialists, and various people with related technical skills for ensuring excellence in quality, organized accessibility, and quality presentation of the final product. Aside from the impending Kickstarter launch, there are other ways to support the project immediately. This is crucial and much appreciated and will immediately be put to use to allow us to proceed efficiently, immediately, and without interruption from absence of funds. For those inclined or willing to support the project, in addition to, separate from, or prior to the official Kickstarter launch, it is both needed and appreciated. We have begun focusing on the project full time, but do not have adequate funds to engage the professional expertise and resources necessary to move forward at this time . At the end of this Blog post, are several ways to make your contributions and show support for this project. In the summer of 1992, I was accused–by persons unknown to this day–of being a paid operative of the Central Intelligence Agency. These charges were made to the then Associated Press Foreign Editor, Tom Kent, who, without a shred of evidence suspended me from my job as the AP Bureau Chief for Cambodia until an investigation was launched and completed, which of course proved the allegations to be spurious and unfounded. I had been with AP since 1989 covering the war in Cambodia based from the Thai border and their myriad of guerrilla and refugee camps. I made 41 trips into the guerrilla controlled zones between 1989 and 1991, lasting from a day to two months in the jungle covering firefights, war, and its related deprivation and human suffering. I was paid a salary of $400.00 a month. After the signing of the Paris Peace Agreements in October 1991, I was sent to Phnom Penh to be the Bureau Chief for AP in Cambodia, reopening the AP office 17 years after it was shuttered when the Khmer Rouge seized power in April 1975. My salary was raised to $800.00 per month–no expenses included, which meant I had to pay for my own accommodations, food, and communication to file stories, which I did through Bangkok, which were then sent to the AP Asia desk in Tokyo, and then on to the AP world desk in New York. I was hired by the AP legendary correspondent Dennis Gray, the Bangkok Bureau Chief and long time correspondent in Vietnam and Cambodia. He joined the AP after a stint as an army intelligence officer in Vietnam. He was, and remains, a man of great integrity, news sense, skill, and most importantly, an impeccably decent man and fair minded man. In the summer of 1992, Tom Kent embarked on a whirlwind tour of the Foreign Bureaus of the AP to get a sense of what was happening inside the worlds biggest news organization of which he presided. I had never met the man. I do remember when, in October 1989, while on assignment for the AP, I was seriously injured by landmines while covering the war in Cambodia, killing or wounding everyone I was with. The only message I got from the New York HQ was not from Tom Kent, but from the AP lawyer, making it clear I was not a staff correspondent and while they felt terrible about the numerous broken bones, shrapnel injuries and brain damage I suffered, they were not responsible for any of my medical bills or other ramifications of the incident. Tom Kent did, however, play the story of “their” AP correspondent being wounded while getting what was at the time a minor world scoop after the Cambodian guerrillas captured their first district capitol in the 12 year old war, as a major top world story on the AP wire, and it was widely published globally. Dennis Gray, the Bangkok Bureau chief, was considerably more professional and sympathetic, though a miser when it came to compensating his correspondents under the charge of his Bangkok Bureau’s. He was and remains a foreign correspondent’s correspondent. There is also no greater honour than having one’s work recognized for its quality than by one’s colleagues. Below are selected correspondence that remain deeply appreciated by me from some of them. I wish to thank you and your fellow KPNLF officers and soldiers for the help you gave our reporter Nate Thayer, both in allowing him to report from Cambodia and in taking care of him after he was wounded. We would also like to express our sympathies for the soldiers who died and were wounded along with Nate. Nate tells us he received excellent treatment at the KPNLF field hospital and that you were kind enough to call on him personally in Aranyaprathet. From Tokyo and Seoul have come kudos for his performance in North Koreaa, which was totally foreign ground to him, and he won very high praise from very-hard-to-please (Peter) Eng for coverage of the recent Bangkok demos (In which the Thai army killed hundreds of peaceful demonstrators protesting a coup d’etat during days of violent street fighting). So I am very pleased with our team here now—if we could only settle the Indochina matter. A last thing on Thayer, which aroused my fury again today due to a lunch conversation I had with a Time magazine colleague from Hong Kong who said Thayer is being branded a “CIA type” by someone on the Far Eastern Economic Review. As you know, this type of thing can be very damaging to both individuals and companies. There is not one shred of evidence that Nate is working for anybody bt the AP and the occasional, legit media strings he has, or is an advocate of any one side in Cambodia or elsewhere. Should anybody in D.C.– or here–say otherwise, I suggest we threaten them with assassination–or at least a kick in you know where. Agreed? 1. DUE TO SOME FEARS IN RECENT WEEKS THAT GOVERNMENT OFFICIALS’ COMMITMENT TO A FREE PRESS MAY BE WAVERING, THE AMBASSADOR WROTE INTERIOR MINISTERS SAR KHENG AND YOU HOKRY, AS WELL AS INFORMATION MINISTER IENG MOULY, JUNE 20, TO REINFORCE THE NEED FOR CONTINUED FREEDOM OF THE PRESS IN CAMBODIA. 2. TEXT OF LETTER AS FOLLOWS. I AM WRITING TO EXPRESS CONCERN OVER THE PERCEPTION THAT THE PRESS INSIDE THE COUNTRY–BOTH CAMBODIAN AND FOREIGN–FEEL THREATENED. I AM NOT IN A POSITION TO KNOW WHETHER THIS FEAR IS WARRANTED OR NOT, BUT IT IS REAL. FREEDOM OF THE PRESS IS OF COURSE GUARANTEED BY ARTICLE 41 IN THE CONSTITUTION. IT IS ALSO ONE OF THE BASIC HUMAN RIGHTS RECOGNIZED INTERNATIONALLY.IT HAS BEEN A CORNERSTONE OF POLITICAL FREEDOM IN THE UNITED STATES FOR OVER 200 YEARS. AS WE PERCEIVE ANXIETY ON THE PART OF THE CAMBODIAN PRESS THAT ITS RIGHTS MAY BE IN DANGER, I AM ALSO CONCERNED ABOUT THE RIGHTS AND WELFARE OF THE INTERNATIONAL PRESS OPERATING HERE. THIS IS PARTICULARLY WITH REGARD TO THE AMERICAN JOURNALISTS ASSIGNED HERE, SUCH AS STAFF MEMBERS OF THE PHNOM PENH POST, AND REPORTER NATE THAYER. WHILE WE MAY SOMETIMES DISAGREE WITH THE VIEWS OF ONE WRITER OR ANOTHER–HONEST MEN WILL DISAGREE ABOUT SOME THINGS–I WILL ALWAYS DEFEND THEIR RIGHT TO PRESENT THEIR VIEWS, EVEN ABOUT ME OR MY STAFF. I ALSO COUNT ON THE ROYAL GOVERNMENT TO ENSURE THE SECURITY OF THESE PERSONNEL. I AM CERTAIN, FOR EXAMPLE, THAT THE PHNOM PENH POST AND MR. NATE THAYER WOULD BE PREPARED TO CONSIDER MOST SERIOUSLY PUBLISHING VIEWS WHICH THE GOVERNMENT MAY WISH TO PRESENT. I KNOW THAT I CAN COUNT ON YOUR EXCELLENCIES TO CONTINUE TO SUPPORT THIS FREEDOM FOR ALL JOURNALISTS INSIDE THE COUNTRY. Please allow me to express my appreciation for the recent invitation to meet your representative HE Mak Ben in the liberated zones of Cambodia under the administration of Democratic Kampuchea. As always, I am very interested in hearing in detail and in person, the DK analysis of Cambodian politics. And, as always, I am committed to reporting accurately and without bias on Cambodian affairs. As you know, this commitment has contributed to me being expelled from Phnom Penh by the current authorities who are unhappy with my reporting on important issues that concern the nation and the people. However, I am disturbed by perhaps a misunderstanding on the part of Democratic Kampuchea on what my job is and who I work for. Let me be very and unequivocally clear: I am an independent journalist. I do not nor have I ever worked for the United States Government or any other government. I am not an agent of the CIA nor am I an agent of any arm of any government. I was clearly under the impression from my meeting with Mak Ben that Democratic Kampuchea believes me to be an agent of the United States government and that you had requested to see me in order to relay a message to the American authorities. If you were to ask me–which you did not–specifically to send a message to US authorities, I would be happy to do so. I have very good contacts, as you know, with key people involved in Cambodian affairs in a number of governments, including the United States. If I can contribute to a better understanding between the DK and any other government, that is good for Cambodia and I am happy to do my part to help Cambodia. But it is not my job. Frankly, to spend the equivalent of two months salary on flying around the world to meet Mak Ben for three hours for the sole purpose of relaying a message to the United States government is, mostly, a waste of my time. It seemed that none of the issues that I had asked to talk about during my previous trip to the liberated zones in May were taken into consideration. I was treated with a lack of respect for my professional duties as a journalist and historian. I am a journalist working for the Far Eastern Economic Review. Because of difficulties with the Phnom Penh authorities, I am no longer able to effectively report from Phnom Penh. While I remain the Cambodia correspondent for the Review and will continue to write on Cambodian affairs for them, I am now based in Washington as a visiting scholar of Johns Hopkins University, School of Advanced International Studies, Foreign Policy Institute. This is a respected Washington University influential in foreign policy affairs. I am working on a book on post 1978 Cambodian political history. This book will detail the struggles of the various political factions since your political organization was in power until 1978 until the current period. Obviously the struggles of the DK play a key, significant and dominating part of this period of Cambodian history and I want to reflect accurately the leading role of your party and army during this period. If you choose to talk to me about it, I would be honoured. The book I expect will be widely read by policy makers and historians and it is important that people understand the nature of your struggle. I would hope that you would find it important to invite me back to discuss this important part of Cambodian history. This would require I meet senior leaders of the DK Party. I am officially, once again, requesting that I be able to meet you, Pol Pot, Nuon Chea, Ta Mok and other key leaders of your movement. But let me be clear: Do not invite me back if I am only to be lectured by a mid-level cadre such as HE Mak Ben and treated as though I am a messenger boy for the U.S. government. It is a waste of my time, money and effort. Lastly, and importantly, I wanted to follow up on a matter of great personal interest to me that I raised several times before, including in my recent trip where I met HE Mak Ben in the liberated zones. During the last months, I have followed with great interest the fate of my friend Christopher Howes, who was seized by your forces while conducting humanitarian work removing land mines from agricultural areas in rural villages near your liberated zones. 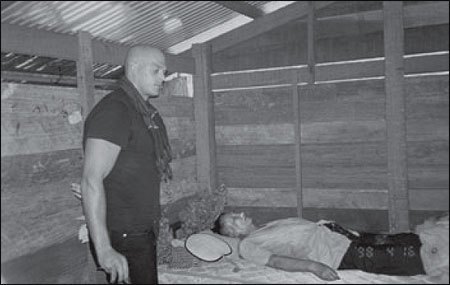 I have received irrefutable and precise and clear information from Cambodian and other sources that Chris has been killed by forces under your command. I know this to be true. His family and the international community want and need to know the proof of the fact that Chris is dead so they can rest in peace from a traumatic months of anguished uncertainty. I am sure you are aware that all over the world during times of conflict that these situations arise and that innocent people die after straying into harms way. I will ensure that you will be given due credit as having acted on humanitarian good will by providing proof of Chris’s death so his family may have some closure to this unfortunate tragedy. Please contact me to let me know what I can do to help bring this chapter, which has brought the DK considerably bad publicity and will continue to do so, until there is proof and closure to Chris’s case. I would like to request once again that I be able to meet with you and HE Pol Pot and speak about important Cambodian political issues of newsworthy interest to the Far Eastern economic Review., but I am on a limited budget. Do not invite me back if I am only to meet with a low ranking cadre such as Mak Ben. It is, frankly, a waste of my time, effort, and money. My trip to accept your invitation to the liberated zones where I met Mak Ben cost me a huge portion of my total budget to research my current work projects, and I have to be very careful how I spend my money. As you know, I have devoted much of my professional life to attempting to report fairly on Cambodian political issues because of my great fondness for Cambodia and its people. My current situation allows me to have significant influence on those involved in making foreign policy decisions regarding Cambodia. But in order for me to have influence, I must have knowledge. In order to have knowledge and credibility, I must have access. I think you can see we have some common interests here. So once again, I request formally that you allow me to visit the liberated zones to speak with you and to HE Pol Pot on these issues of critical importance to Cambodia and its future. If I can not meet with people of your rank or senior, please do not, in the future, waste my time or yours. I have been here in Surin for several days. I got your messages. I am sending this note with our Thai friends. I would very much like to see you. Maybe our Thai friends can request if you ask them to. Please stay in contact. I will await your reply. I hope you are safe and well. I hope you have received my messages through the usual channels. I am writing this from O’Smach where I came yesterday driving by car from Siem Riep. 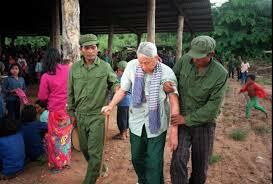 I very much want to come talk to you or Khieu Samphan and understand the real situation regarding Pol Pot. If I was to see you, your message would be spread clearly and honestly to the world. Now everyone is very confused as to the changes in the DK leadership and what your objectives are. The reason is there is no independent confirmation of anything. This I could provide so the world could receive your message clearly. You would then not have to worry about efforts to distort or block or manipulate your message. I will report the facts honestly, as you know well over the years. Please make arrangements with our Thai friends and/0r friends in the Cambodian government to invite me and give permission for me to enter Anlong Veng and your liberated zones. I can either cross from Thailand or cross from the Cambodian side in the jungles near O’Smach. I hope you are healthy and safe. I am pleased to receive your short message. We have many difficulties and I have a lot to talk to you about. I will meet with you soon. The time and place will be arranged later with the help of our Thai friends. You can trust them. I am well as are my colleagues. I fought the leadership in the Party of HE Prince Ranariddh because otherwise the Funcinpec Party will go down. But I have small support from the high ranking officials of Funcinpec, but the grassroots people and the older Funcinpecists support me. I have learned the real situation of Funcinpec but the corrupt high Funcinpec people (the high ranking one did not) do not realize that the Funcinpec will be driven down. They are spoiled by the victory of the last election. They do not think to work properly as I had expected, but the CPP does their job. I feel very ashamed of Funcinpec and of the CPP. Now they accuse me that I sell my head to be a puppet of the CPP. They know (Funcinpec) how to criticize, but they do not know how to work. The relations, cooperation and collaboration with the CPP is destroyed. Each side, they move to strengthen their own parties but not the government. There is no political stability. Today, June 22, my close little brother went to Anlong Veng. He saw Pol Pot who is staying in a secret house. He (P.P) looks very old and very sick. Chan Youran, Pech Bun Reth, Mak Ben, Tep Khun Nal, Thioun Thioun, Ko Bun Heng were all captured since June 15 by Ta Mok. Now they stay in Anlong Veng. A week later, the CPP launched a coup against Ranariddh and Funcinpec, killing hundreds, and driving tens of thousands to the jungle and across the border to Thailand. One month later, on July 25, 1997, I was allowed into the jungle headquarters of Anlong Veng, where I witnessed and photographed the jungle trial of Pol Pot. It was the first time he had been seen or photographed in two decades. Urban/Nayan/Nate—Here, FYI, is my nominating letter for Nate’s story. I’m entering it for U.S. newspaper awards: the Pulitzer, the Polk (already sent) and the OPC. Just a reminder: I wrote this for strategic reasons, in a manner that emphasizes the U.S. newspaper coverage, noting that the story was published in the Review the same day. In the pantheon of 20th century butchers, Pol Pot has always rated a spot on the A-list. The world lost count of how many Cambodians he and his genocidal Khmer Rouge killed during the 1970’s and subsequent years. The accepted figure: somewhere in the millions. For the last twenty years, Pol Pot remained a murderous enigma–a shadow variously reported deposed, injured or dead. No one outside the innermost circle of his communist cadre had even spoken with the man. The most recent photograph of him dated from 1979. On the run, deep in the Cambodian jungle, criss-crossing his killing fields, Pol Pot eluded his enemies, eluded accountability, eluded explanation. That is, until freelance reporter Nate Thayer, at great personal risk, tracked down and interviewed Pol Pot. It was the journalistic coup of 1997. Writing for the Wall Street Journal in the U.S. and its sister publication, the Far Eastern economic Review in Hong Kong, and publishing his exclusive interview on the same day in both the Journal and the Review, Thayer ripped away Pol Pot’s anonymity. His feature length story, written under intense deadline pressure, was riveting: Here was the mass murderer, unrepentant,explaining the geopolitics of genocide, talking wistfully of fatherhood and his 12-year old daughter–writing history. Thayer’s story was an international sensation, and virtually every major publication and broadcaster in the world picked up lengthy excerpts. Indeed, no single international story in 1997 transcended Thayer’s blockbuster interview with Pol Pot. Sometimes the story behind the story is as exemplary, and this is one of those times. Nate Thayer’s pursuit of Pol Pot began in 1989, when he started reporting from Thailand on the Khmer Rouge. Freelancing for U.S. and Asian publications, he made dozens of trips into the jungle, sleeping and eating with the guerrillas, reporting on firefights, gaining the confidence and respect of all sides in the deadly conflict. On one reporting trip he was gravely injured when the truck he was riding in hit a land mine, killing several of his companions.. He contracted cerebral malaria, and was hospitalized several times. His stories inevitably infuriated one side or the other. One commander broadcast a reward for his capture; another ordered him assassinated on sight. All the while, Thayer pressed to see Pol Pot. In June of this year, he sensed his opportunity was at hand: Khmer Rouge radio announced Pol Pot had been arrested as a traitor. Thayer began working his extensive set of guerrila contacts in Cambodia, Thailand and Europe, sending messages through operatives and meeting in the jungle with field commanders. He sometimes found himself in the thick of the fighting–only to retreat and start the process over again. For his notable courage, and top notch journalism, we are pleased to nominate Nate Thayer for the Pulitzer Prize in International Reporting. The winner of ICIJ’s first award for international investigative reporting rescued history with his courageous and enterprising reportage on the final days of Pol Pot. He illuminated a page of history that woul have been lost to the world had he not spent years in the Cambodia jungle, in a truly extraordinary quest for first-hand knowledge of the Khmer Rouge and their murderous leader. His investigations of the Cambodian political world required not only great risk and physical hardship but also mastery of an ever-changing cast of factional leaders. His amazing persistence, as well as endurance and bravery, allowed him to be a witness to the final days of one of history’s most barbaric despots. he was the only representative of the press allowed to attend the jungle trial of Pol Pot by his disillusioned Khmer Rouge Peers. He was the only Westerner later to be able to interview Pol Pot at length. he, alone, was able to ask the murderer the eternal question—why?–on behalf of the millions of Cambodians exterminated under the Pol Pot regime. His reporting was serious and informative on the factions and personalities that led to a once untouchable ruler being tried by his own people. And, yet, he was extremely restrained about his own presence. A lesser journalist would have drawn attention to his achievement in obtaining these worldwide exclusives. Nate Thayer’s years of hard work, detailed reporting, and clear understanding of Cambodia’s murky politics gave the world a ringside seat at the demise of one of the most notorious leaders of the 20th century. The judges, therefore, would like to commend you, Nate, for a remarkable piece of journalism and present you with this first ICIJ Award for Outstanding International Investigative Reporting. In the upper right hand corner is a Paypal button that will easily walk you through the simple steps to donate. Below it is a button that reads “Donate” with simple, quick, safe and easy step by step instructions to donate through PayPal. The new-fangled world of journalism requires a significant effort at self funding, as virtually all institutional budgets supporting in-depth investigative journalism has been eliminated in recent years. This genre of journalism is as time consuming and expensive as it is vital. It is an unpleasant process for most of us, but less unpleasant than ceasing pursuing this essential genre of quality, in depth journalism. In order to succeed, the Kickstarter campaign requires that the full funding target goal must be raised within a set period of days (my campaign will probably be 30 days) or the project will not be supported at all. The costs for a high quality production of this project are substantial. The details of what it will cost, and the specific funding targeting each aspect of the larger project, to bring these projects to fruition will be laid out in the Kickstarter campaign. That campaign will begin by February 1 and will last for 30 days.